Which foot should you put down at a stop, your right or left? Or both? The second hint in my Hot To Not Look Like a Moto Noob series is… use your left foot. It’s not as important on a completely level surface where you can safely use both feet, but anytime the road is tilted slightly uphill or downhill, putting your left foot on the ground allows you to keep your right foot on the rear brake, freeing your right hand to do whatever it pleases. This is especially key when stopped pointing uphill, because you can keep the bike from rolling backwards with the rear brake while you use your right hand to work the throttle to start moving forward. It’s a lot easier than trying to work both the front brake and throttle with your right hand on uphill starts. Do you lock your arms like a couple of two-by-fours when you’re riding? This is one of the tell-tale signs of a moto noob and a habit that needs to be broken to get to the next level. The first hint in my How To Not Look Like a Moto Noob series is… keep your arms bent. To keep things brief, having your arms bent will benefit many aspects of your riding including steering, braking, bump absorption and good body positioning in the corners. It will also help you stay a little more relaxed. Keep your arms bent and maybe I won’t be so quick to yell “Noob!” when I see you riding (assuming you’re not riding in a t-shirt and shorts). Every motorcycle racer or sport rider who does track days wants to go faster. 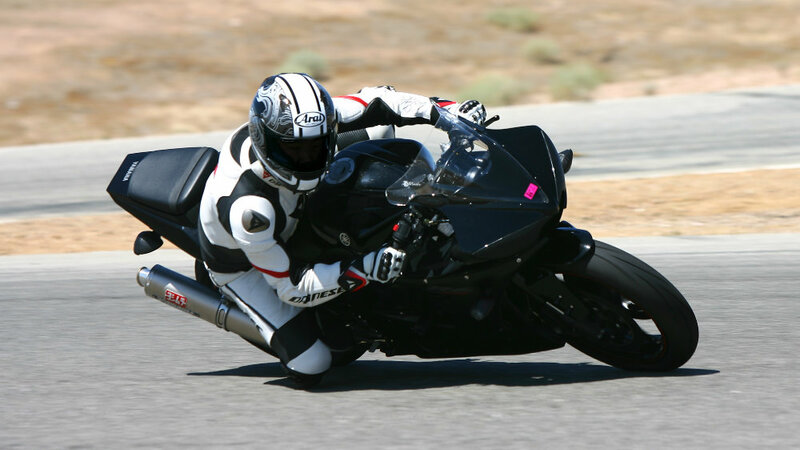 Enter Keith Code and his California Superbike School, one of the best ways to learn the skills required for that extra speed we all want. 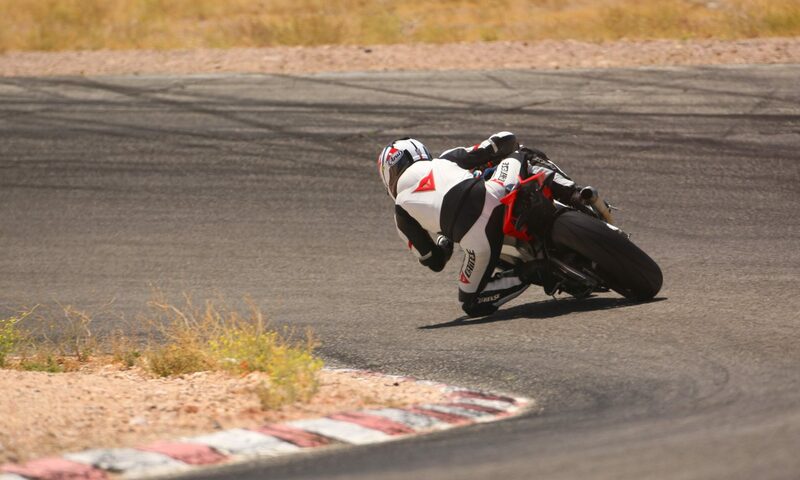 I returned to Superbike School for level 2 last weekend to build on what I learned in level 1 back in late 2008. It was also a great opportunity to finally ride the BMW S1000RR, the incredible new sportbike that’s now the standard issue student ride at California Superbike School. One of the best things you can do with your sportbike is take it to the local racetrack for a track day and open that sucker up. Once you’re out there flying down the straights and carving corners without cops, cliffs or SUVs to worry about, you’ll be hooked. It sounds like a hassle to actually make it out to the track; I certainly thought so even by the time I bought my second bike. The good news is that it’s really not that difficult. It certainly takes some effort, but I had so much fun my first time out that the effort hasn’t mattered that much. Let’s take a look at what it takes. Wow, has it really been that long since I posted? Yikes. 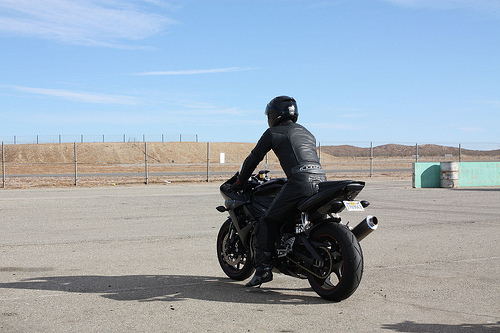 In any case I wanted to write about my experience with Keith Code’s California Superbike School, which I attended last weekend as a level 1 student. I’ve been riding now for 4 1/2 years and prior to the class had done nine track days (I think). Keith has an impressive list of motorcycle racers that he and his staff have coached, so when some members of my riding club signed up I figured it was a good time to go.